Geeklings, how we doing out there? A very happy Monday to you all. I spent the first part of my Monday at the doctors where I learned that I have “golfer’s elbow”, something that I didn’t know was an actual thing until today. I’ve heard of tennis elbow, but golfer’s elbow sounds like its snotty cousin. Like how do I tell someone with a straight face that I have golfer’s elbow? Does that go along with my yacht knee? Just because it has a strange name doesn’t it make it hurt any less but I thought it was strange. Long story short, I’ve got to rest my arm, do some stretches, and get one of those sleeves that NBA players wear for some added support. Not too bad. Sure as hell beat getting a shot in the elbow. Dear god, I don’t even want to imagine what that would have been like. Other than that, Monday as usual. You may have noticed that I was a little quiet here last week, and it’s not because of a lack of interest. 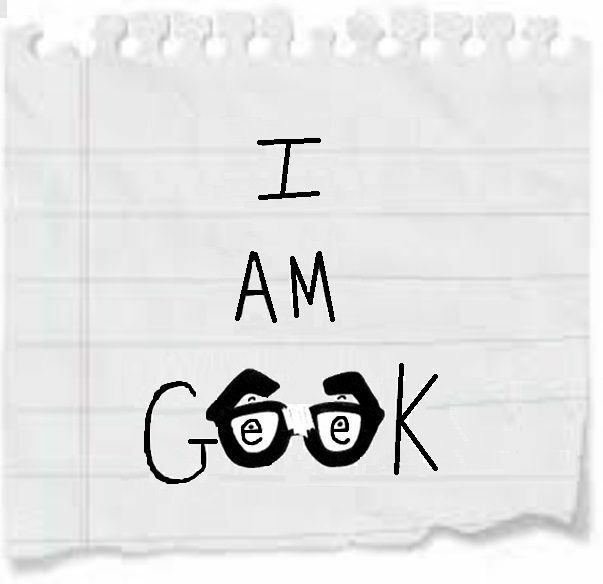 Nope, I’m actually working on some I Am Geek projects that I hope to be sharing with you guys soon. If you follow us on social media than you know it has to do with a certain relaunch. We’re really excited about it and can’t wait to get it out to you. 1. Aladdin trailer- Yesterday during the Grammys, which I guess is now a commercial hotspot (?! ), Disney aired its latest trailer for their upcoming live-action Aladdin aaaaaaaaand the reactions were a bit mixed. If you recall the last time we saw Will Smith as the genie he wasn’t blue, well, now we have seen Will Smith in all his blue glory and the results are slightly terrifying. Going to be honest, not sure how I feel about this one. It looks weird. And not in a good way. Like weird in a I think this makes me slightly uncomfortable way. If Twitter is any indication the rest of the world feels the same way… Here’s hoping we get a full trailer giving us a better idea and maybe an improved look on Smith’s Genie. 2. 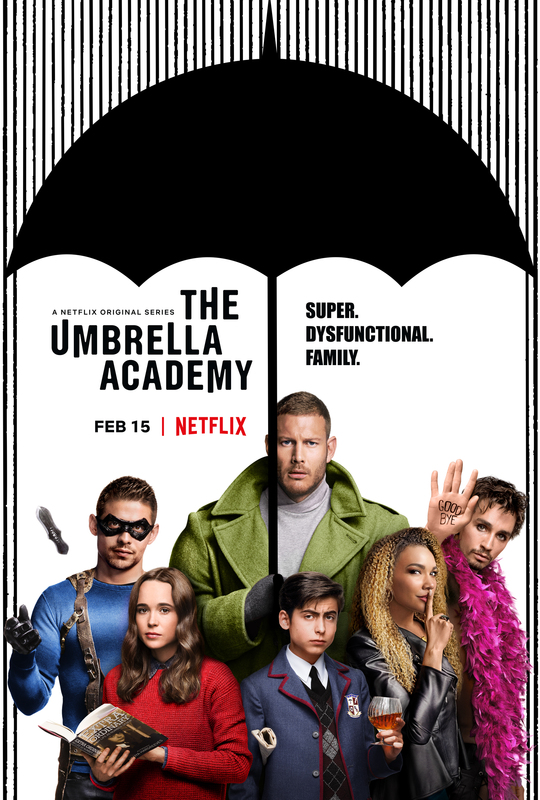 Umbrella Academy– This is the week for unorthodox superhero teams starting over at Netflix with Dark Horse’s Umbrella Academy. I’m really looking forward to this show. It’s got all the ingredients for superhero awesomeness. Kids with weird powers. Preventing the end of the world. A talking monkey. Season one drops this Friday just in time for a three day weekend. 3. Doom Patrol– Speaking of unorthodox superhero teams, DC Universe’s Doom Patrol drops this Friday. You may recall seeing this team in an episode of Titans, and now they’re getting a series of their own. I have seen the first episode, as I’m doing reviews for Fan Fest News, and I can’t say much about this series until the embargo lifts on Friday. I can say, I’m kind of gushing over it. You’re going to want to watch this one. 4. Happy Death Day 2U– I really, really enjoyed Happy Death Day. It was a fun play on Groundhog’s Day and was clearly a horror movie that didn’t take itself too seriously but still managed to pack in some heart. I’m all for a sequel. Sometimes it’s okay just to have fun at the movies and Happy Death Day 2U definitely looks like fun. There you have it Geeklings, all the best this week has to offer. What are you looking forward to the most? Sound off in the comments or throw me a line on Twitter @iamgeek32. I’ll see you all back here tomorrow!